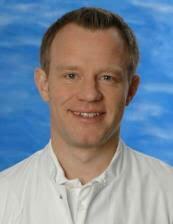 Henrik Watz is a Pulmonologist at the Pulmonary Research Institute, LungenClinic Grosshansdorf, Germany. He studied medicine at the University of Giessen, Germany, and his clinical education included internal medicine, radiology, intensive care and pneumology at the University Hospital Giessen, Greifenstein Chest Hospital, University Hospital Frankfurt, Germany, and LungenClinic Grosshansdorf. In 2012 he received his “Venia legendi” for internal medicine from the University of Kiel, Germany. Dr Watz’s research interests are in asthma and COPD with a focus on co-morbidities and physical activity in COPD. He has been Principal Investigator at the German Center for Lung Research since 2012. He has been a member of the board of the national research initiative “COPD and systemic consequences network” (COSYCONET). Dr Watz chaired the ERS task force “Physical activity in COPD” and was awarded for his research by the German Lung Foundation in 2005 and the German Society for Pneumology in 2011.